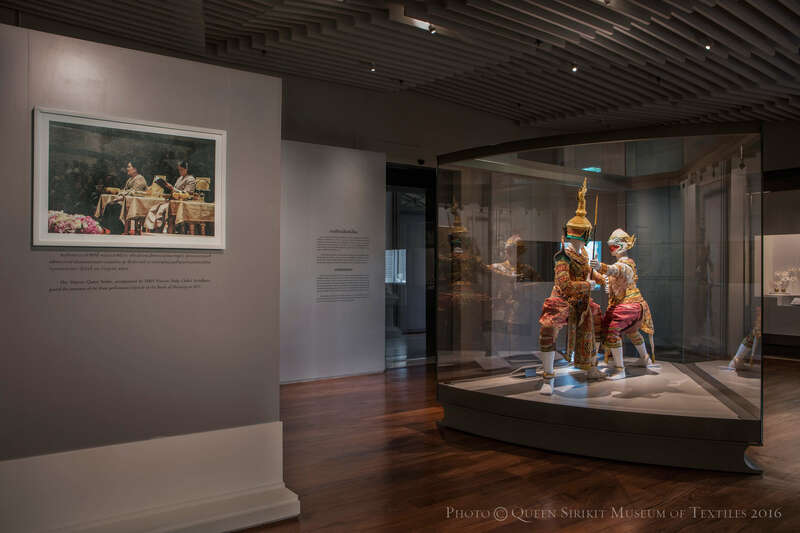 The museum celebrates the auspicious occasion of Her Majesty Queen Sirikit’s 7th cycle birthday on August 12, 2016 with this exhibition about the origins of Thailand’s characteristic court dance/drama and its modern revival at Her Majesty’s behest. 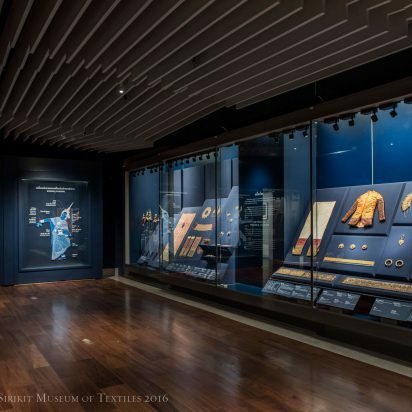 On view are royal ceremonial garments and ornaments that were the basis for Khon costume, rare examples of late 19th and early 20th-century khon costumes, and a gallery of glittering modern examples. 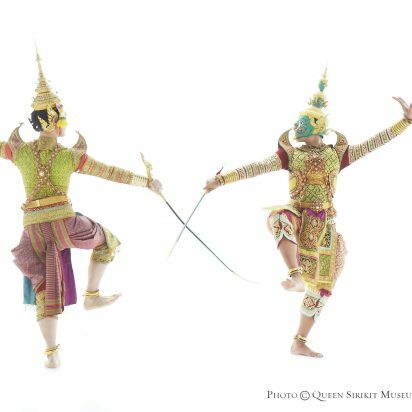 Historic footage of khon as it was performed at court in the early 20th century is also featured, along with videos showing exactly what goes into dressing a dancer for performance. 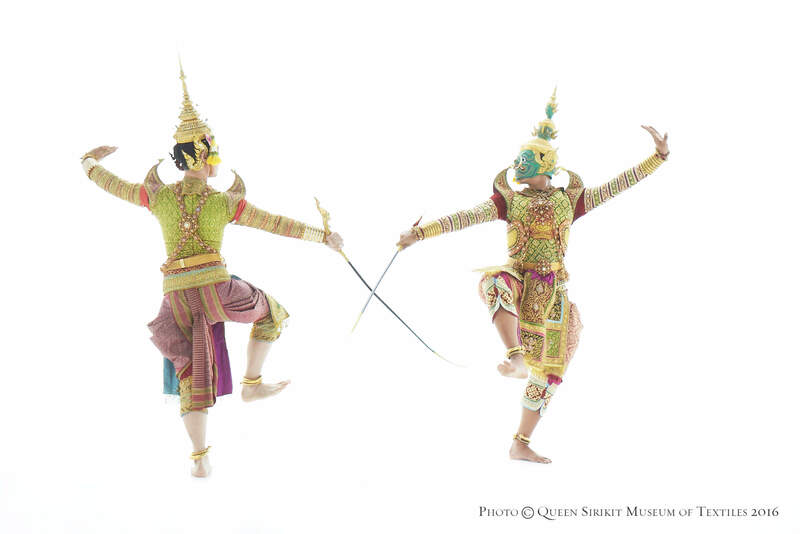 In 2005, when Her Majesty Queen Sirikit set about organizing the revival of Khon, one of Thailand’s oldest narrative dance forms, she assembled a scholarly research team to discover what the costumes might have looked like in the past. 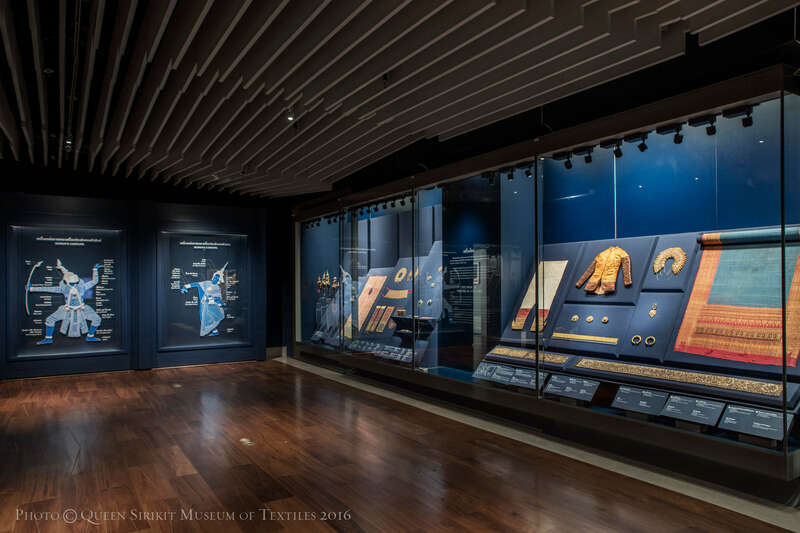 After the historical evidence had been collected, specialists were selected to design new costumes to fit contemporary adults. 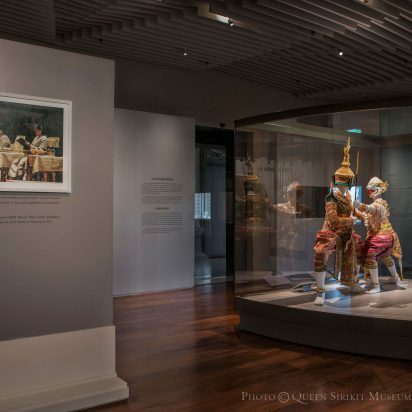 This authenticity required re-establishing or expanding the weaving, embroidery, mask- and jewelry-making workshops necessary to produce all aspects of Khon costuming. 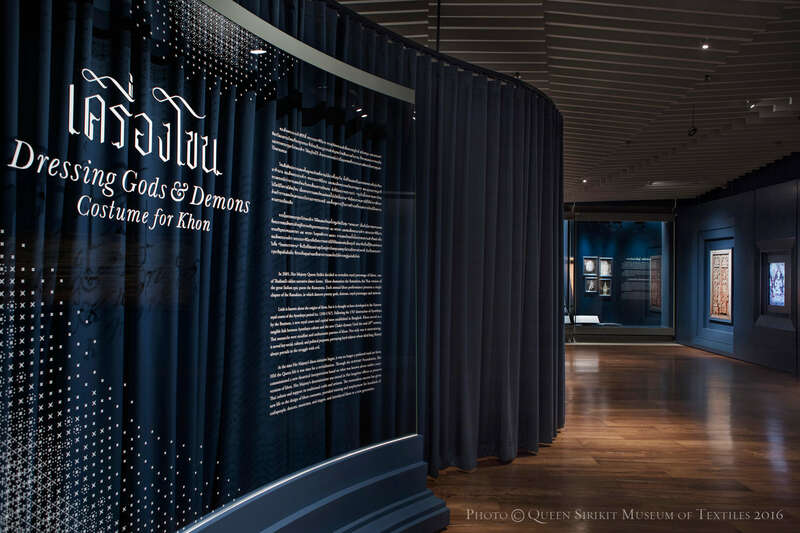 Dressing Gods and Demons: Costume for Khon, will be on view from 4 August 2016 to 31 December 2017 in Galleries 3 and 4 of the Queen Sirikit Museum of Textiles (QSMT). 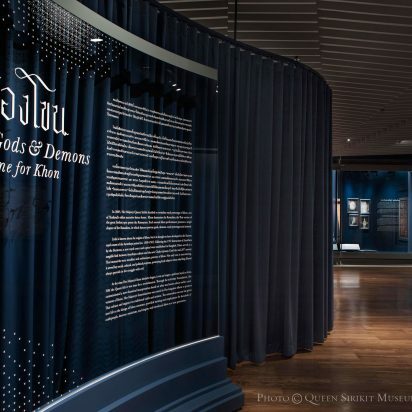 The museum is in the Ratsadakhorn-bhibhathana building in the Grand Palace complex in Bangkok.